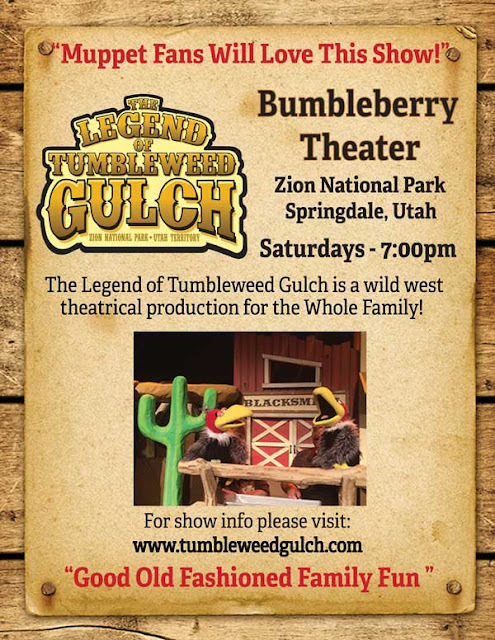 Bumbleberry Theater is located in Springdale, Utah close to Zion National Park. 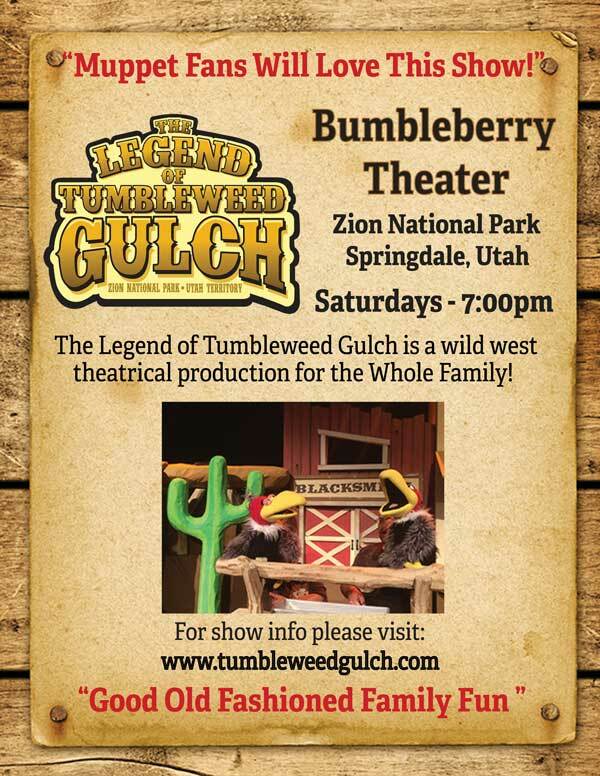 Right now through May 28th they are playing The Legend of Tumbleweed Gulch every Saturday. 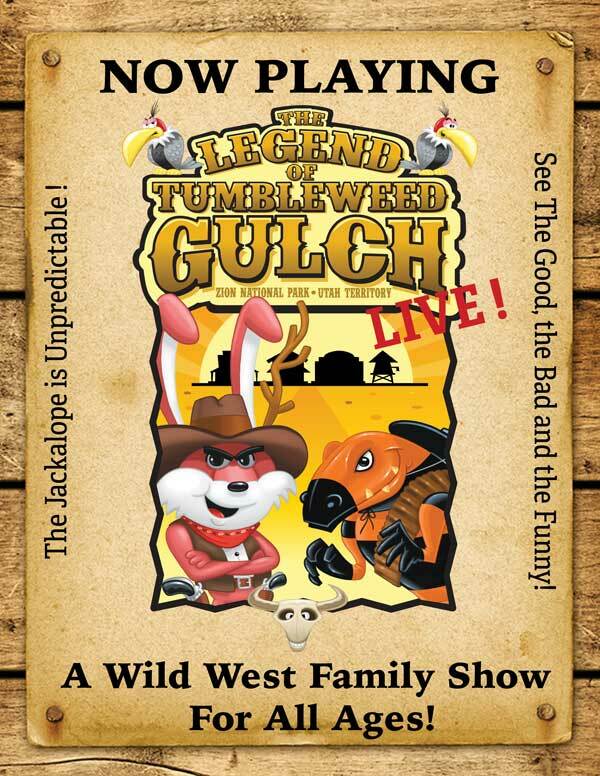 This is a great play for anyone, especially young children.